Hi! I printed out bitcoins and gave it as a birthday gift to my friend. How? It’s easy. I will describe and you can do the same. 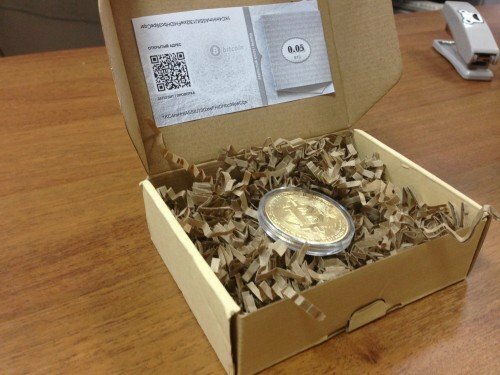 The idea of giving bitcoins as a gift came to me a year ago. And the idea of printing them out I got just last week. Some time before I presented bitcoins too: I gave a birthday card with the words written there «Give me a Skype-call, tell me your btc-wallet and I will make a transaction». Surprisingly, but no one of my friends hasn’t applied to me yet. I reminded them about a gift, but the answer was the only one: «Yes, I remember. Have time – will obtain cash». It's amazing – one friend's wallet has become two times bigger since I gave him a present. In order not to let the situation continue, I decided to print bitcoins. 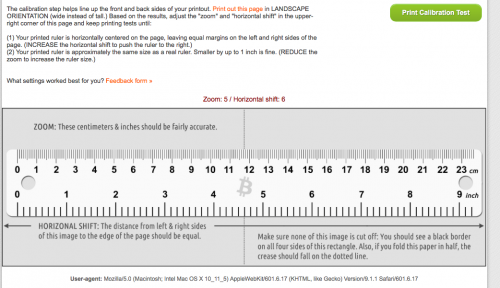 Having printed version of bitcoin the person can either hold the btc or spend it. it's perspective – the more people are involved in btc-promotion, the higher course this currency has. Now let's start making the gift itself. 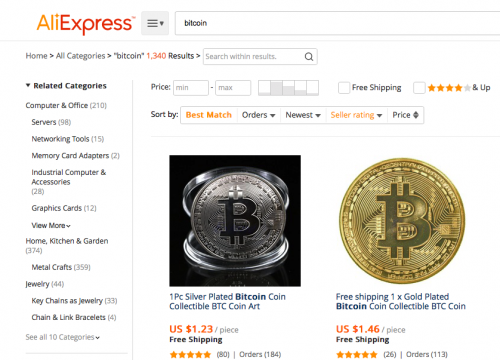 1) The first step is to buy bitcoin-stylized coins at Aliexpress. I get a parcel of 50 coins – enough for couple of years. Sometimes I gift these coins for no reason and my friends are delighted with such present. But you need to take into account that usually a package goes from China from 2 till 4 weeks. 2) The second step – go to website https://bitcoinpaperwallet.com. It is a bitcoin address generator. We need to get 2 bar-codes: the first is the address which lets us check the balance and add funds; the second bar-code is the private key for controlling all the bitcoins hold at this address. In another words, we create empty wallet and refill the balance with the sum we want to donate to a friend. In his turn, he can put it in a safe-deposit or import into his smartphone. i) fold it as it shown at the picture. 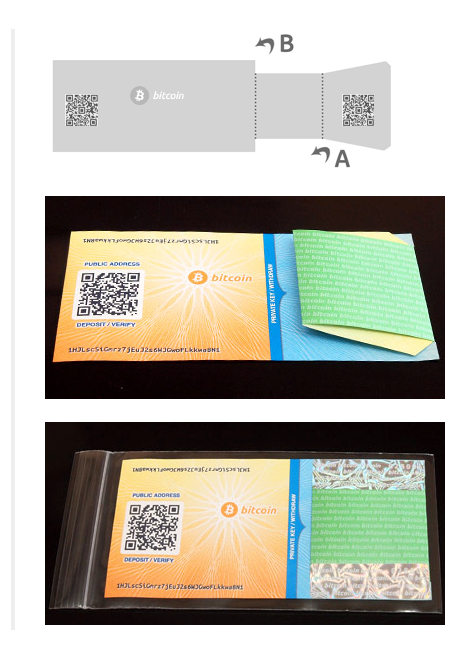 Printed out wallet number and private key is hold inside a paper construction and not available for scanning. So, you can now fill funds and transfer some bitcoins to open address on the front side of the coin. I used the app for smartphone https://blockchain.info. 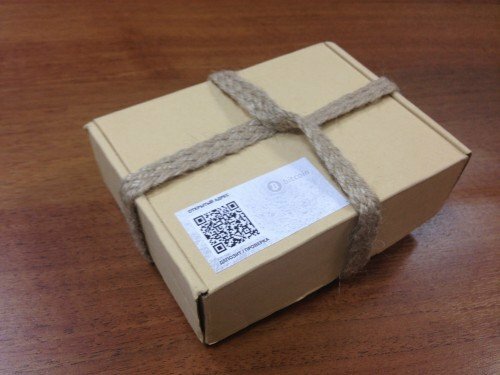 Now you can put your paper bitcoin into gift wrapping – the gift is ready! Don’t forget to put the coin! If you are interested in how to transfer paper bitcoins to the Internet account, I will write special article. Gift bitcoins, help this world change. I want one made of cheese! This is actually a really neat idea, and one which would appeal to those still a bit unsure about how cryptocurrencies work. It usually helps to be able to relate it to a physical object - hopefully he will be inspired to get further into cryptocurrencies!